Although pediatric cancers are less common than adult malignancies, the impact of cancer on children and their families is nothing short of devastating. Over the past 40 years, cooperative research efforts (primarily through the Children’s Oncology Group) have resulted in dramatic increases in cure rates for most pediatric cancers. Nevertheless, substantial numbers of children with cancer still succumb to their disease, and even larger numbers of pediatric patients suffer significant long-term late effects because of the intensity of the therapies required to achieve cure. Research into the pathophysiologic mechanisms underlying pediatric tumors is essential to develop novel therapeutic approaches that will yield higher rates of cure and fewer side effects. Through these collaborative efforts, the program will contribute to further improving our understanding of how pediatric cancers arise, and developing new treatment paradigms that will lead to higher cure rates and less morbidity. To make an appointment, please call 888.275.3853. 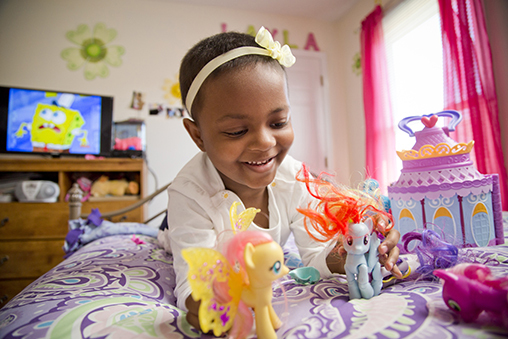 For more information on pediatric cancer care at Duke Health, visit Duke Children's. To find a doctor, visit Find A Specialist.